Yep, it's that time of the year again: the time when I realize that I'm hopelessly behind on reviews despite all of my best efforts. The time when I have to decide how to fit everything I've read during the past month and a half (and everything I will read this month) into a few short days of posts. I'm set on the idea of starting each year with a clean slate and no left-over reviews, with the exception of ARC reviews that I'll be posting on publication dates. I read this one as "research" for my NaNo novel, which is set at a conservative Christian college. This is an outsider's look at Christian culture - Radosh is a secular Jew. 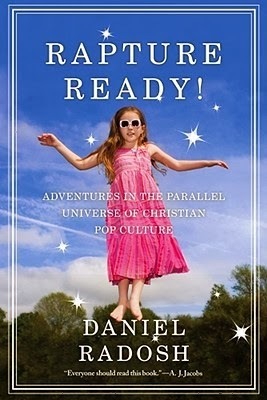 He examines everything from Contemporary Christian Music to Christian merchandising to Christian fiction. As someone who grew up immersed in this culture, I wasn't as shocked by all of the quirks as other readers may be. I was mostly impressed with how objectively Radosh considered Christianity and its culture. He was fair and largely respectful. Being a Christian myself, it's easy to take offense at an outsider's examination, but I found it easy to appreciate Radosh's point of view, even if I did have a couple moments of feeling defensive. 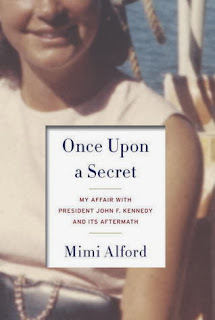 Mimi Alford (Beardsley at the time) was a nineteen year old intern who had an eighteen month relationship with JFK, from the time of her summer internship in 1962 until his assassination. In 2003, a tabloid frenzy erupted, exposing Alford's affair, which she had kept hidden for decades. This memoir is her chance to tell the story for her own point of view. It was worth reading if you're interested in JFK, Presidential gossip/scandals, or the time period. I was less intrigued by the affair itself than I was by the descriptions of the White House and how it operated during that period. The affair itself wasn't as central as I had hoped - I mean, let's be honest, if you're reading a memoir by a woman who had an affair with the President, it's because you want salacious detail, and there just isn't much of that in this one. It's more about the time period and how it affected the author - the President is rarely "seen" at all. And that's not necessarily a bad thing, but something to keep in mind while you're deciding whether or not to read it. This is the story of Shin Dong-hyuk, born into a prison camp in North Korea, and one of the very few who escaped. He made his way to China, then South Korea, and finally to the West, where he shared his story with journalist Blaine Harden. 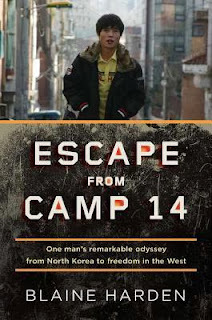 It encompasses his time in the prison camp, his brainwashing and indoctrination, his terrifying escape, and the impact that his time in the camp has had on him physically and emotionally. It's been on my list since it came out, so I was thrilled when it showed up on FLP's digital catalog. It is absolutely fascinating. Another example of how unimaginable atrocities are taking place right now, as we live in comfort. It's so easy to think that all of the terrible things in the world happened before my time, but these camps are in existence today as I type. If you're at all interested in foreign affairs, current events, or humanitarian issues, you have to read this one. I second Escape From Camp 14! I can't remember if I've asked you before but if you haven't read Nothing to Envy you (or anyone else) must! !